The house is currently undergoing a complete renovation scheduled for completion in May 2018. Once completed, there will be 2 king master suites with ensuite, plus 2 other bedrooms including a bunk bed room plus an office which will also include sleeping accommodations. In total there will be 3 1/2 baths. 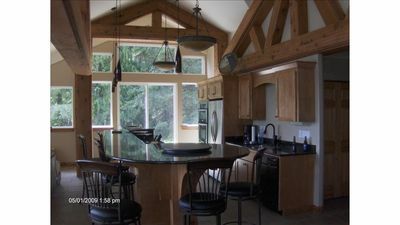 The kitchen/living room will be an open entertainment space with an oversized island. 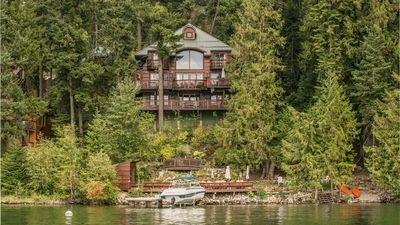 Spend your vacation in a fully appointed 4 bedroom / 3 bath home on your own private waterfront oasis. 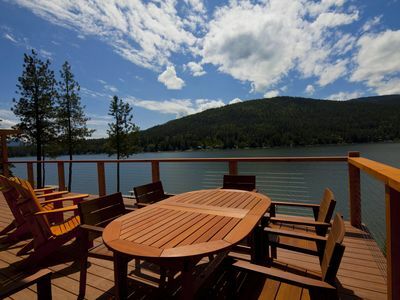 The property is nestled along the sandy South facing shores of the Pend Oreille. 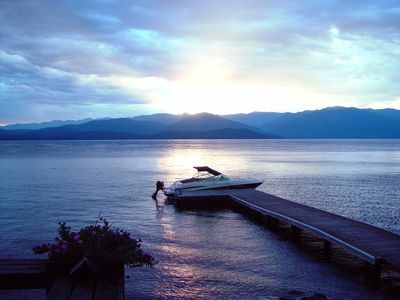 The River and Lake combined provide 111 miles of shoreline to explore which is a true boaters paradise. 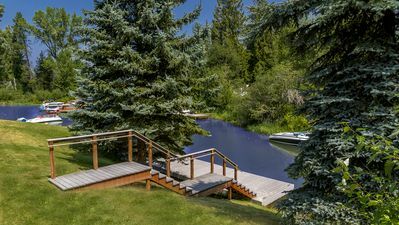 The gentle sloping lawn leads to your own private sandy beach and 32 foot dock with mooring whips for your boat. 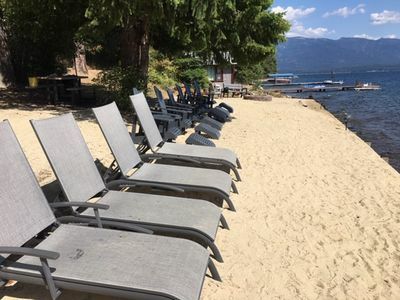 After a day at the beach swimming or boating, spend the evening relaxing on the oversized deck enjoying the water and mountain views along with osprey, bald eagles and Blue Herons. 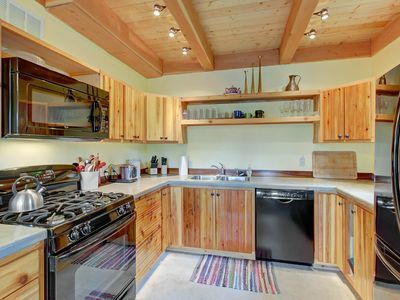 This updated home has a large cook's kitchen with updated appliances, granite countertops and all amenities along with two separate living rooms to relax and unwind. The main living room has french doors leading onto the deck. 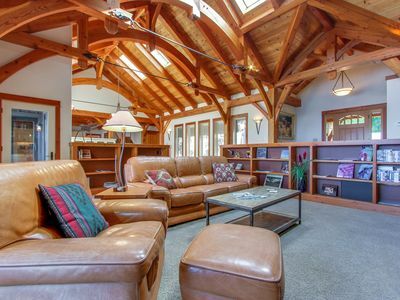 From the comfort of the leather sofa and loveseat you can enjoy water views while viewing the 46'' HDTV or relax with music from the stereo with iPod dock and in-wall speaker system. 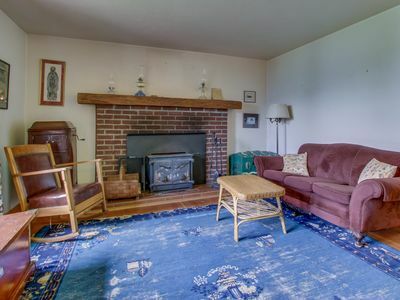 The second living room also has in wall speakers and microfiber sofa/bed and recliner loveseat. Entertainment options includes Satellite TV and Netflix. The master suite features an elegant King sleigh bed with Davenport mattress. The gas fireplace provides the perfect ambience to enjoy private water views through French doors leading to the deck. The spa-like private en suite boasts granite and travertine with large walk in shower. There is also ample storage with an oversize walk in closet. The second suite also enjoys water views through French doors leading to the deck. The King Sleigh bed and Davenport mattress will provide you with every comfort of home. The second bath offers granite and travertine with large walk in shower while the third bath has a bath/shower combo. All linens are high thread count quality including the two separate queen bedrooms and separate queen sleeper sofa. The Queen sleeper sofa is located in a separate living room with double French doors that can be completely closed off for privacy. A bunk bed is also provided in one of the Queen bedrooms suitable for small children. 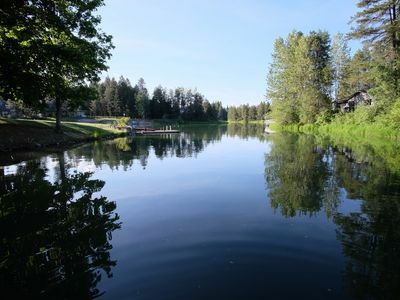 The property is located in a quiet estate development in the town of Laclede which is a short drive by car or boat to Sandpoint or Priest River. 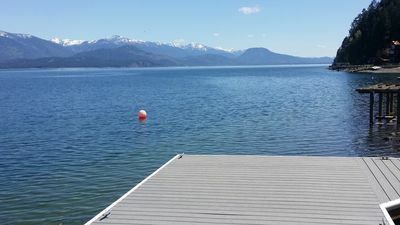 Willow Bay Marina is visible across the water for all of your boating needs and also a very popular restaurant and bar. 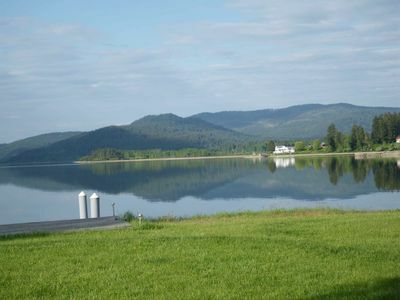 Riley Creek Campground is also a short distance away on Riley Creek Road with a great children's playground and amenities. Whether you are visiting winter or summer, you can be on the chair lifts at Schweitzer or on the rollercoaster at Silverwood Theme Park in 45 minutes. 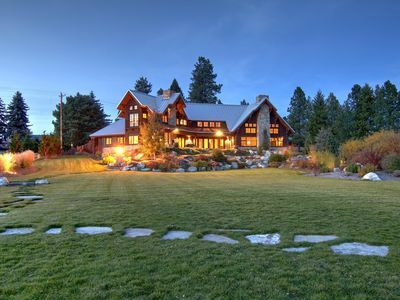 Spokane is an easy one hour drive on US 2 West. 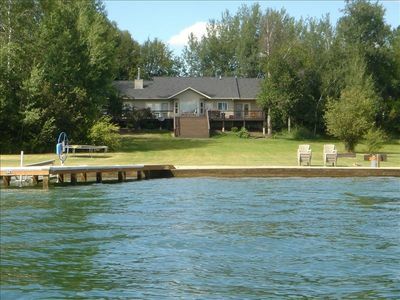 You will find this vacation home to be well appointed and extremely clean throughout. You will not be disappointed. Please email should you have any questions. 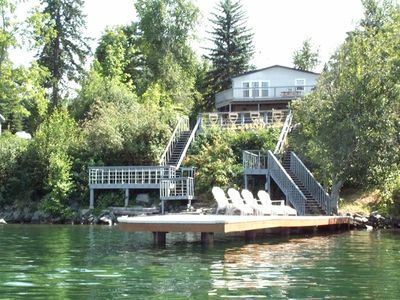 Two lovely waterfront adjoining homes sleep 34 people- Great for large groups!